Hen and her husband, Lloyd, have settled into a quiet life in a new house outside of Boston, Massachusetts. Hen (short for Henrietta) is an illustrator and works out of a studio nearby and has found the right meds to control her bipolar disorder. Finally, she’s found some stability and peace. 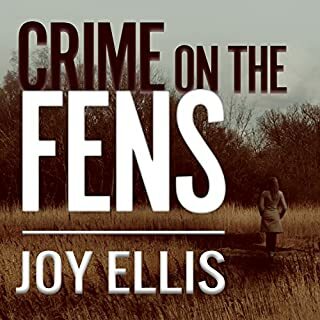 But when they meet the neighbors next door, that calm begins to erode as she spots a familiar object displayed on the husband’s office shelf. The sports trophy looks exactly like one that went missing from the home of a young man who was killed two years ago. When five colleagues are forced to go on a corporate retreat in the wilderness, they reluctantly pick up their backpacks and start walking down the muddy path. But one of the women doesn't come out of the woods. And each of her companions tells a slightly different story about what happened. Federal Police Agent Aaron Falk has a keen interest in the whereabouts of the missing hiker. 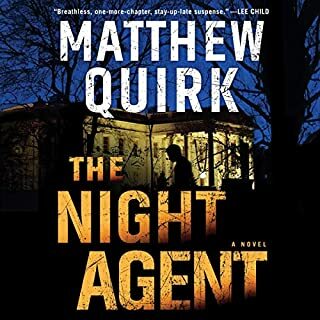 To save America from a catastrophic betrayal, an idealistic young FBI agent must stop a Russian mole in the White House in this exhilarating political thriller reminiscent of the early novels of John Grisham and David Baldacci. I felt like I was living it. Joe never wanted to come back to Arnhill. 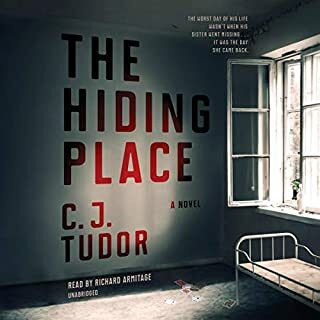 After the way things ended with his old gang - the betrayal, the suicide, the murder - and after what happened when his sister went missing, the last thing he wanted to do was return to his hometown. But Joe doesn't have a choice. Because judging by what was done to that poor Morton kid, what happened all those years ago to Joe's sister is happening again. And only Joe knows who is really at fault. Lying his way into a teaching job at his former high school is the easy part. Bold and fearless, Nina Markova always dreamed of flying. When the Nazis attack the Soviet Union, she risks everything to join the legendary Night Witches, an all-female night bomber regiment wreaking havoc on the invading Germans. 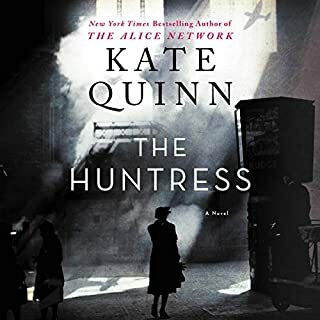 When she is stranded behind enemy lines, Nina becomes the prey of a lethal Nazi murderess known as the Huntress, and only Nina's bravery and cunning will keep her alive. Seraphine Mayes and her twin brother, Danny, were born in the middle of summer at their family's estate on the Norfolk coast. Within hours of their birth, their mother threw herself from the cliffs and the au pair fled. Now an adult, Seraphine mourns the recent death of her father. While going through his belongings, she uncovers a family photograph that raises dangerous questions. It was taken on the day the twins were born, and in the photo, their mother, surrounded by her husband and her young son, is smiling serenely and holding just one baby. 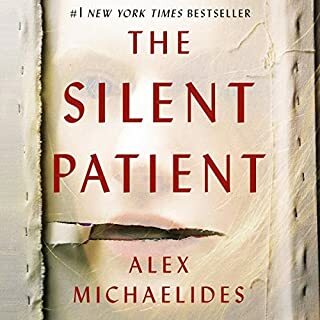 DI Nikki Galena: A police detective with nothing left to lose, she's seen a girl die in her arms, and her daughter will never leave the hospital again. She's gotten tough on the criminals she believes did this to her. Too tough. And now she's been given one final warning: make it work with her new sergeant, DS Joseph Easter, or she's out. 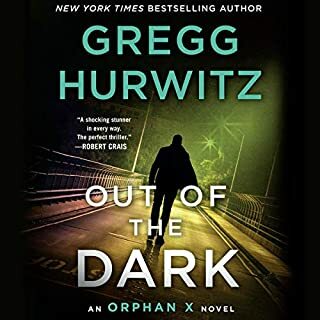 The amazing Gregg Hurwitz and Scott Brick. 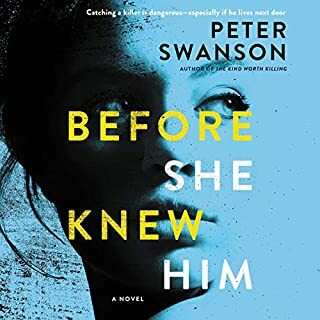 When a peculiar letter arrives inviting Armand Gamache to an abandoned farmhouse, the former head of the Sûreté du Québec discovers that a complete stranger has named him one of the executors of her will. 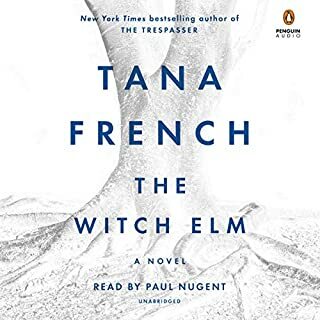 Still on suspension, and frankly curious, Gamache accepts and soon learns that the other two executors are Myrna Landers, the bookseller from Three Pines, and a young builder. None of them had ever met the elderly woman. The will is so odd and includes bequests that are so wildly unlikely that Gamache and the others suspect the woman must have been delusional. But what if, Gamache begins to ask himself, she was perfectly sane? A missing private investigator is found locked in a car hidden deep in the woods. Worse still - both for his family and the police - is that his body was in an area that had already been searched. 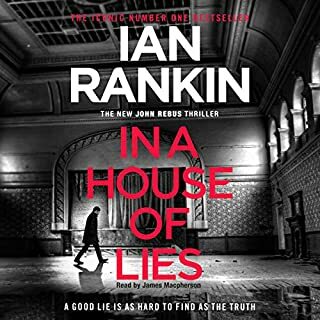 Detective Inspector Siobhan Clarke is part of a new inquiry, combing through the mistakes of the original case. There were always suspicions over how the investigation was handled and now - after a decade without answers - it's time for the truth. Toby is a happy-go-lucky charmer who's dodged a scrape at work and is celebrating with friends when the night takes a turn that will change his life - he surprises two burglars who beat him and leave him for dead. 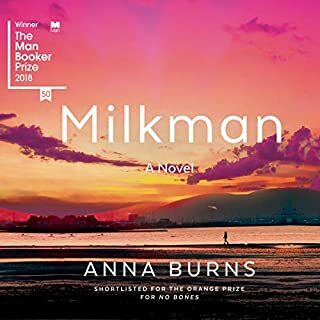 Struggling to recover from his injuries, beginning to understand that he might never be the same man again, he takes refuge at his family's ancestral home to care for his dying uncle Hugo. 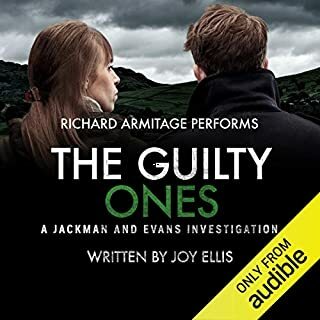 Then a skull is found in the trunk of an elm tree in the garden - and as detectives close in, Toby is forced to face the possibility that his past may not be what he has always believed. 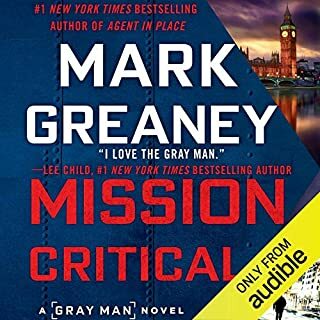 action and Grey Man fun! 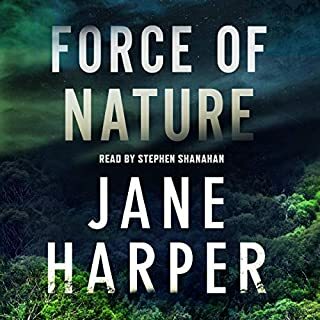 Two brothers meet in the remote Australian outback when the third brother is found dead in this stunning new stand-alone audiobook from New York Times best-seller Jane Harper. Two brothers meet at the remote fence line separating their cattle ranches in the lonely outback. In an isolated belt of Western Australia, they are each other’s nearest neighbor, their homes a four-hour drive apart. The third brother lies dead at their feet. Something caused Cam, the middle child who had been in charge of the family homestead, to die alone in the middle of nowhere. So the eldest brother returns with his younger sibling to the family property and those left behind. But the fragile balance of the ranch is threatened. Amid the grief, suspicion starts to take hold, and the eldest brother begins to wonder if more than one among them is at risk of crumbling as the weight of isolation bears down on them all. 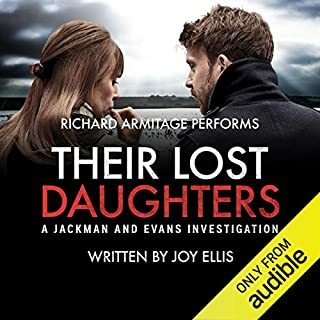 Dark, suspenseful, and deeply atmospheric, The Lost Man is the highly anticipated next audiobook from the best-selling and award-winning Jane Harper, author of The Dry and Force of Nature. ©2018 Jane Harper (P)2018 W. F. Howes Ltd. I love Jane Harper's writing style. 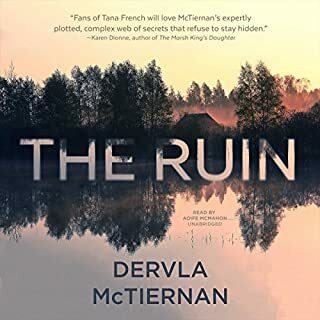 It isn't a grip you by the edge of the seat, but a slow steady story where you learn about the characters in the book and about what took place in their lives leading to the core of the story. I'm looking forward to her next book! As good as The Dry! I was very excited to see a new book from Jane Harper and it didn’t disappoint. I highly recommend! I was a tad disappointed at first that Falk was not a character in this story. Jane sure made up for that! Nathan, Liz, Ilse, are all normal people thrust into terrible circumstances. 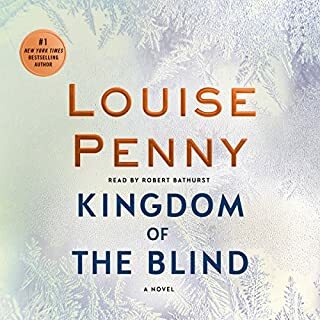 I adore a good thriller and got even more than I bargained for because this story made me experience a wide range of emotions, including my favorite - Hope! Thanks again Jane and Stephen! Jane Harper's books and the narrator are wonderful. The sound level needs to be increased so that the listener can lower the volume. In many places I couldn't get the sound loud enough to know what was being said. This was my first contact with a work by Jane Harper. What a pleasant surprise. The story flows very smoothly and the plot unfolds naturally. While that happens you learn more and more about the many characters and about life in the Outback. In the end I felt like I had been there, rambled around the place and spoken to the people. But most of all I was extremely impressed by the narration. I've heard many books and many narrators. Some very good, others not so much so. Most of the time they sound exactly like it is: a person reading a book. Stephen Shanahan didn't. Especially in the dialogues, I could sense he had studied the text and figured out the best way of saying it. I felt like I was hearing a movie performed by a very good actor. Even simple things like "OK. Thanks." are said with a rhythm and an intonation that make it sound absolutely real. This really is one of the best books I've listened to in years. I'm not often motivated to write a review, but this is one of those times. This is a compelling, dramatic mystery and I felt a real urgency to see it resolved, but at the same time it's a careful character study and a subtle family drama. The beautifully described Australian outback landscape becomes a character in its own right, and the performance by Stephen Shanahan is absolutely wonderful. Jane Harper's best book yet! 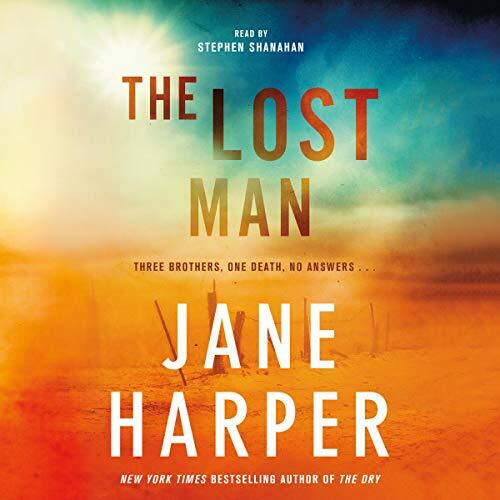 The Lost Man is Jane Harper's best book yet. 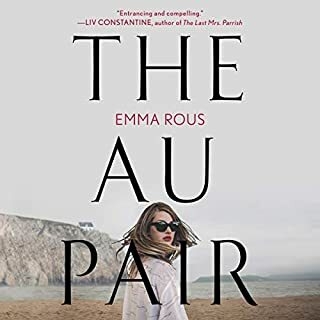 Great characters, an interesting and unpredictable story, and exquisite writing make the Australian outback come alive. The narration is excellent. A truly outstanding book! 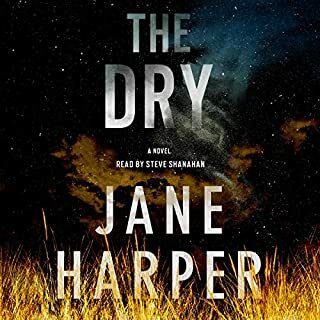 In each of Jane Harper's books, the extremes of Australia are an intregal part of the plot. This one is very much a slow building story, and the characters were well developed. Unfortunately, *spoiler*, it's another family dysfunction plot, and the final act was sooo predictable. I appreciate the decision to have an Australian narrator, but the accent takes awhile to understand. As good if not a tad better than #1. A great story, well read, that explores the costs of isolation and abuse as it spins a satisfying who dun' it. Not too psychologically mawkish to mar narrative of the outback. Literate well written mystery--highly recommend. Stark and absorbing in all the right ways. Harper ‘s gift for storytelling shines here!